The 2017 summer concert season at Hollywood Casino Amphitheatre in Saint Louis kicked off Saturday night with a feel-good throwback show of Bat Benatar/Neil Giraldo and Rick Springfield. Even though the evening was cool the music heated up the crowd of around 8,000. The show was preceded with a five-minute film describing, in their own voices, how the two grew up; her nearly steering clear of music after rushing to get married, but quickly reversing that choice (thank goodness) and him after landing a gig with Rick Derringer found themselves paired together in 1979. 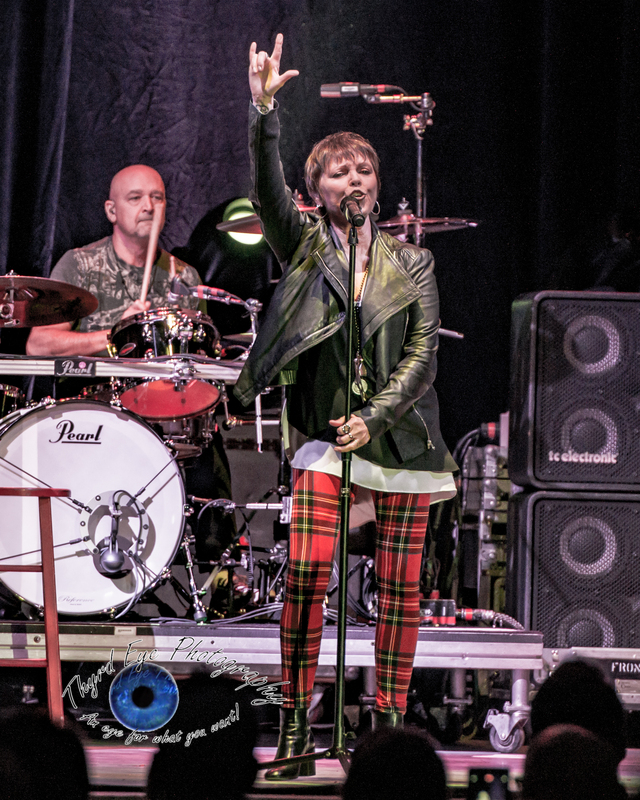 Benatar, the four-time Grammy winner and voice deserving of a special recognition itself, is out on the road doing what she loves to do best, perform. Even though she hasn’t released a new album since 2003’s GO she is still releasing new material, most recently “Shine” for the Shine Together Movement inspiring women through song. Where some musicians’ voice show the wear and tear of age or constant stress, Benatar is the oddity, so to speak. Her pitch perfect and her drive alive, Benatar ran through a myriad of hits kicked off with “All Fired Up” through “Invincible” and “We Belong”. The stage setting was very simple and stripped down in that there were only a couple light trusses to go with a simple black backdrop. But it wasn’t a lightshow the fans came to hear, it was Benatar’s magical voice. And boy did it shine, especially on “Love is a Battlefield” and “Promises in the Dark”. 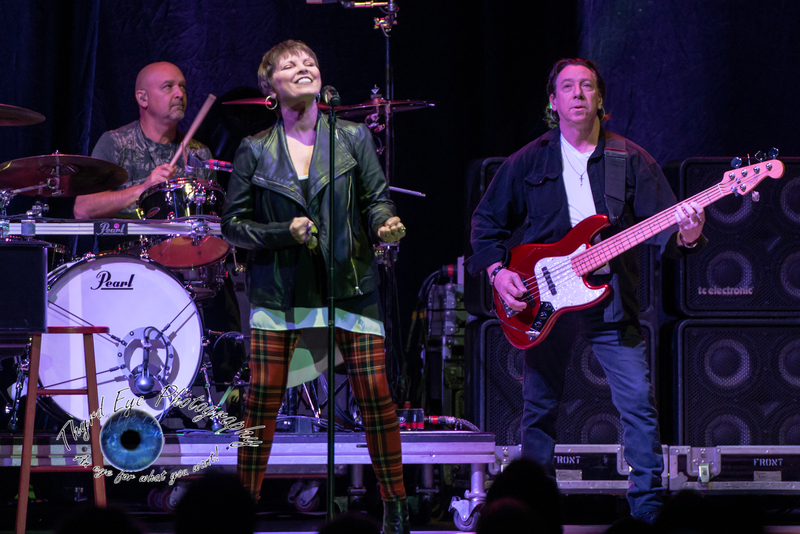 Throughout the set Benatar and her husband/lead guitarist/producer/co-writer Neil “Spyder” Giraldo reminisced and told stories about many of the songs, not only from their repertoire, but of other’s that he produced as well (namely Rick Springfield). It made for a very intimate evening. Pat and Neil have been working together for about 38 years and married for 35. Their working/personal relationship has worked very well and are nearly inseparable. They also talked about their home schedule, with Pat playfully chiding Neil about his sleep schedule/work schedule saying “I get up in the morning and he already has a guitar around his neck”. To which he replied: “If you go to sleep when it’s dark and you get up when it’s dark, what do you get? Two nights for every day”. Hey, whatever works. As long as it produces the hits he has come up with, then keep it up. 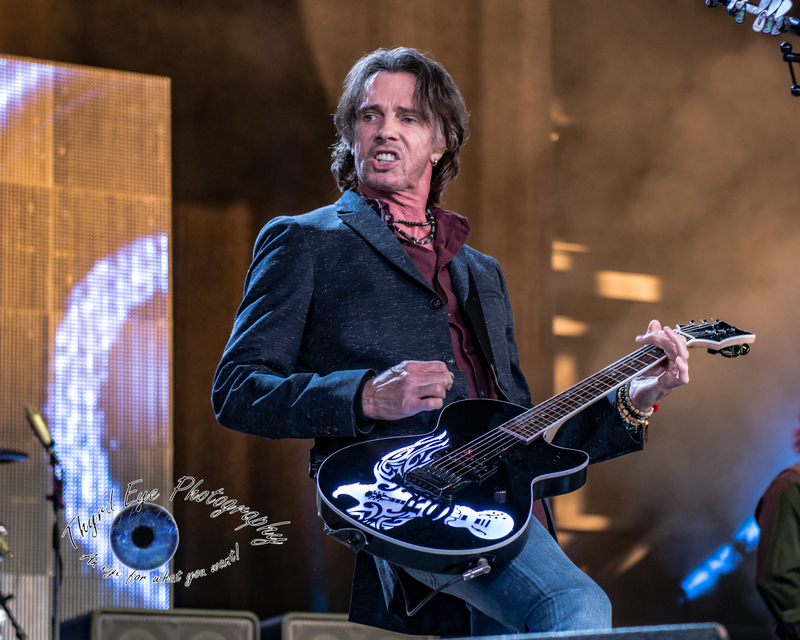 Longtime friend and fellow Grammy winner, Rick Springfield opened the show with a very vibrant and entertaining set that included his hits “I’ve Done Everything for You”, “Human Touch” (in which he went out and hugged dozens of fans) and “Jessie’s Girl”. He also did a great cover of Katy Perry’s “Roar”. He is all about audience participation and brought up two sisters, aged 7 and 9, who apparently were big Rick Springfield fans. He had them each sing the line “Don’t Talk to Strangers” from his hit of the same name and they did great. He had a harder time, however, finding a worthy adult to sing just as good and it was hysterical. An accomplished guitarist in his own right Springfield shows of his chops on his many guitars, including his signature rose strumming. But during “Love is alright Tonight” Springfield was a bit too abrupt and got into the music a tad too much as his actions literally broke his guitar. With the neck separated from the body, only held together by the strings his band, laughing hysterically began bowing down the guitar. “Well, that’s one way to retire a guitar” Springfield quipped. Springfield is touring in support of his latest album Rocket Science. An entertaining show all around, this tour is something to certainly strive to catch. Check out www.benatargiraldo.com for the complete tour list. 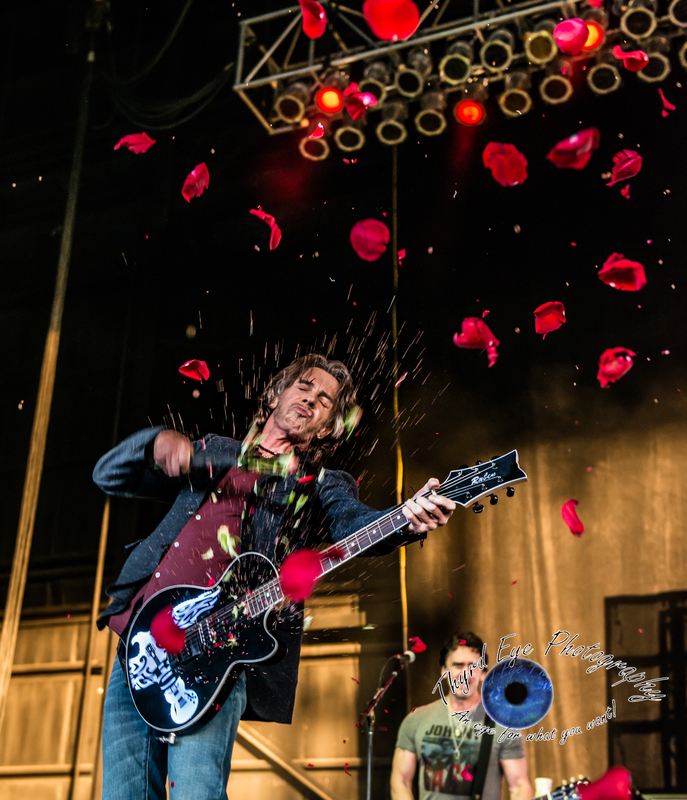 Be sure to check out the full gallery of photos after the setlist. I am so thankful for the set list.